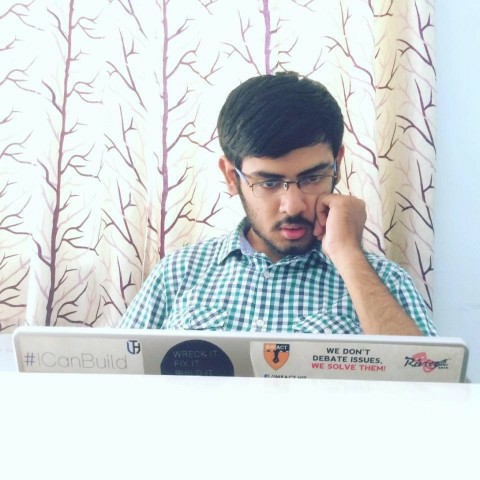 Aquib Ajani is from Nagpur, Maharashtra and is a Computer Science whiz. Currently, he is pursuing his M.Tech in Software Engineering at VIT University and his academics boast of a 9.32/10 CGPA and rank 11 in his batch. He has 6 years of experience in programming in C++ and is also proficient in a number of programming languages, design software and web development. He has been working with online education platforms for over two years now, and has tutored over 3000+ students. He is an avid learner and loves sharing what he has learnt over the years. This PHP tutorial is designed for beginners who want to learn the language from the ground up and kick-start their journey in the growing field of web development. Web development has become a lucrative industry in the recent years. Given the ever growing nature of this industry with more and more businesses and organizations looking for a web presence, there's always something new to learn, be it a new development or a popular language. In order to be competent in this industry, you will need to familiarize yourself with the latest programming issues and the most effective languages. PHP is one such effective language which is a versatile form of script writing and being adept at PHP development will stand you in good stead. PHP is a server-side scripting language designed for web development but also used as a general-purpose programming language. PHP (formerly personal homepage) refers to Hypertext Preprocessor. Given the versatility and the easy learning curve of PHP, you can thrive in the ruthless and ever growing web development industry by equipping yourself with this skill. In this 2-hour tutorial, the primary focus is on strengthening your PHP fundamentals. This tutorial follows a step by step approach to teaching beginners and building their programming basics from the ground up. From installation of required software to using various looping constructs and tags, all the topics are covered right from the scratch to ensure that a beginner can reap maximum benefits out of the course.